Affordable handsets doesn't always have good battery life. Thankfully, both local and international smartphone manufacturers are taking notice of that problem. As a result, there are now more devices with bigger battery capacity even in the super affordable smartphone segment. However, there are always compromises. Some makers were forced to use lower quality materials in order to give way to longer battery life. Enter the CloudFone Thrill Power, a promising budget phone which aims to change that norm. It has HUGE 5,000 mAh of fast charging battery. That's obviously larger than most of its competition with "big battery" at just 3,500 to 4,000 mAh. On top of that, the local masters of carefully crafted devices ensured that it has great build and decent specs for a phone price this low. How low? This device retails for just PHP 3,499! So, can this handset live up to its promise? Let's start with the part 1 of our review, unboxing and first impressions! Disclaimer: This Thrill Power handset was borrowed from CloudFone to conduct this thorough and unparalleled review. Time to unbox this machine! Like most of the newer-gen CloudFone devices, the Thrill Power comes in an attractive easy-to-open black box with the picture of the handset in front and most of the basic specs at the back. 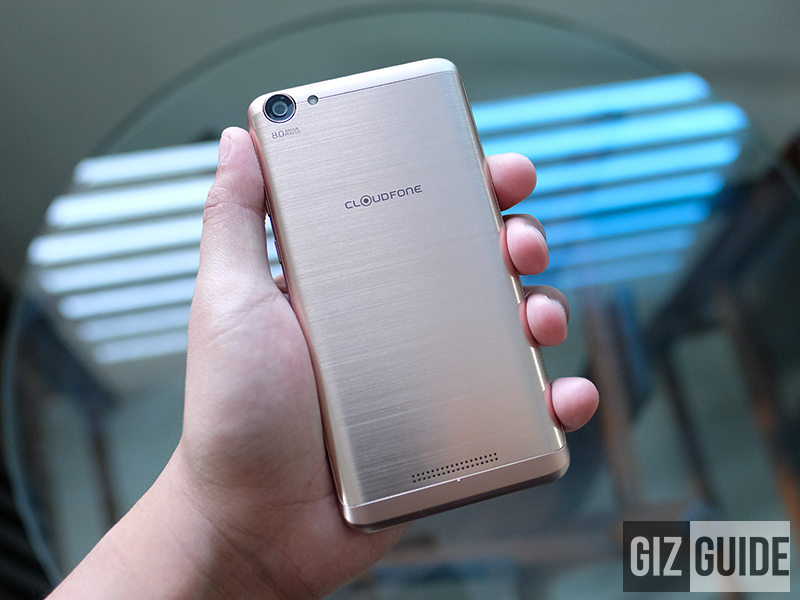 In terms of inclusions, CloudFone has been very consistent with their approach. This handset is paired with a faster than usual 2A USB wall charger and flexible USB to micro USB charging cables. You'll also find other freebies like Disney certified Star Wars Stormtrooper in-ear monitors with microphone, shock resistant TPU case, and screen protector. The Thrill Power is constructed in a slightly different way when compared to its other "Thrill Metal" siblings. It still has a mostly metal case but has a more sophisticated clam-shell chamfered / brushed upper and lower back finish. Inside, the phone is made out of a solid slab of plastic. In front, the 5 inch HD screen has a beautiful 2.5D curved glass for better looks. The design is simply top notch for a handset priced this low. 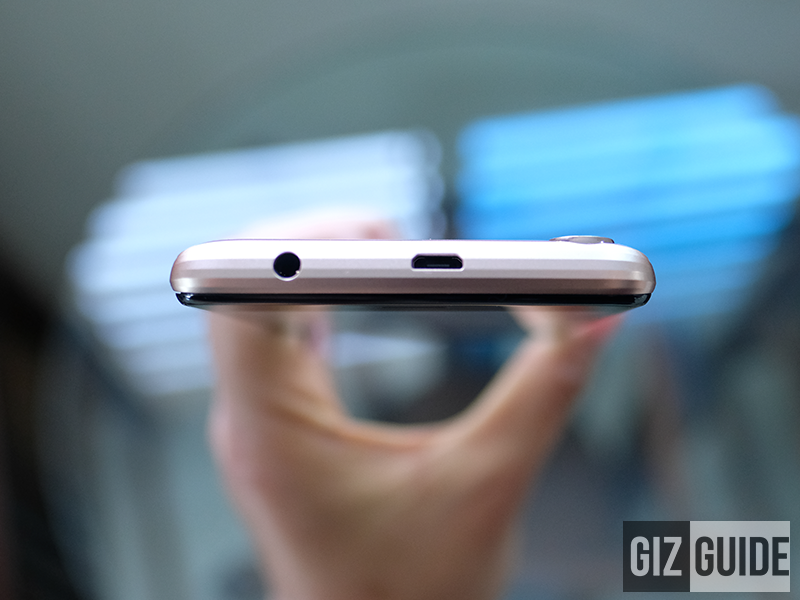 We generally liked how its curvy, brushed, and chamfered its removable back cover is. This handset is beautiful, no doubt! 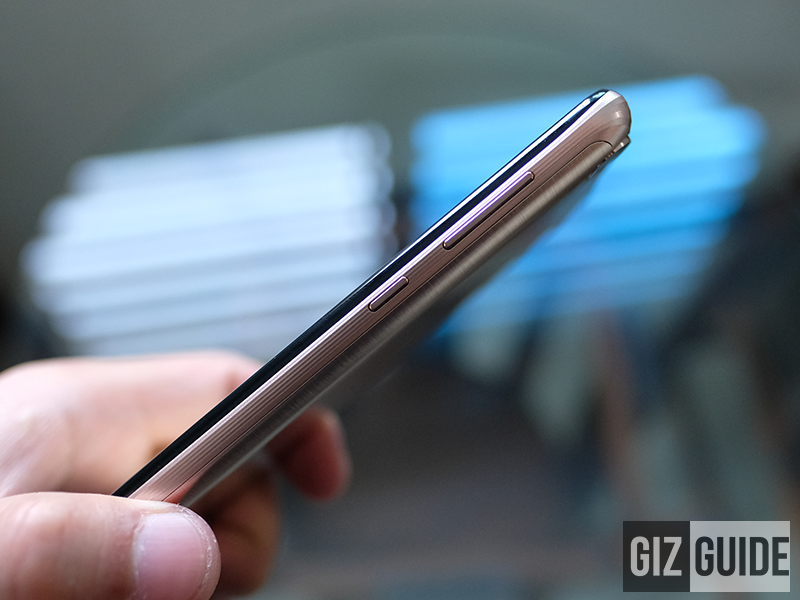 The phone also has mostly semi-rounded corners and arching back for better grip. 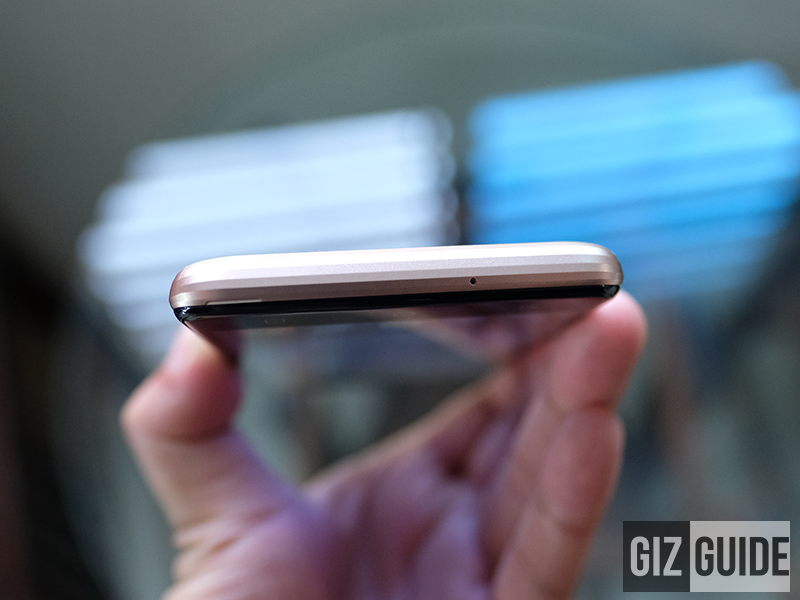 It is thick, but not as thick compared with other budget big battery phones. Buttons and ports are on easy to find placements that's common on modern phones. Related: CloudFone Thrill Power Got A Score Of Over 16 Hours Work Battery Life! 1. The handset has great build and beautiful design for a handset priced this low. The 5 inch screen it have also looks great in the eyes. It only has 2 points of touch tough. 2. The specs is average at this price except for the battery capacity. Its 5,000 mAh of power is the largest we ever saw on a sub PHP 4K phone. 3. The cameras found on this budget handset is lit. Colors and details are looking nice so far. Selfie cam is detailed and has wide angle lens. 4. CloudFone's UI here is a bit different. It isn't drawer-less anymore. It has the useful Phone Assist app and good type of camera software. 5. OTG w/ reverse charging (powerbank mode) works, it has LED notification on top, and reflective Android keys. 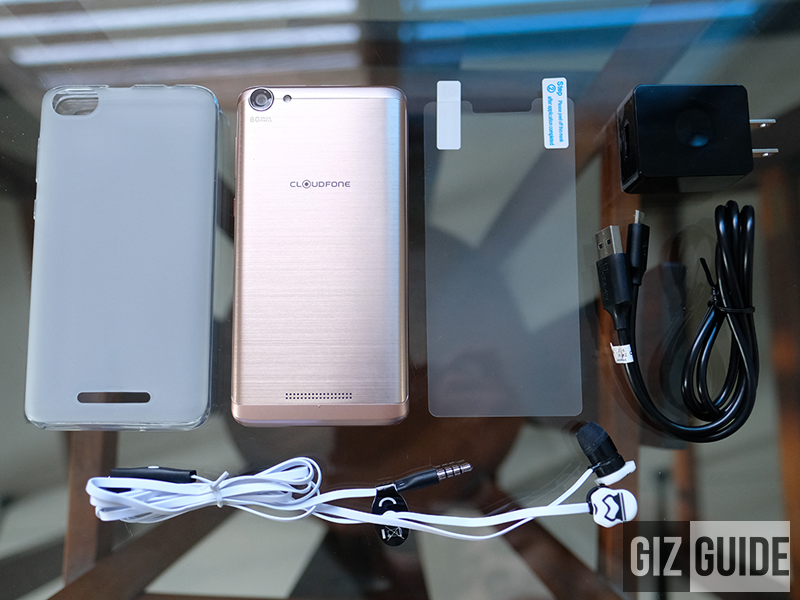 Related: CloudFone Thrill Power: First Camera Samples! On first look, this is the most impressive big battery capacity phone we checked in its class! The battery capacity is HUGE and promising, build is outstanding, design is a looker, and the cameras are decent. We still need to test this one out though to find out if its use of the lower-end MT6580 chip w/ 1 GB RAM and 8 GB of storage is enough for light smartphone users on a very tight budget. But so far, this has the potential to be that ultimate big battery backup phone which should be usable enough for social media. 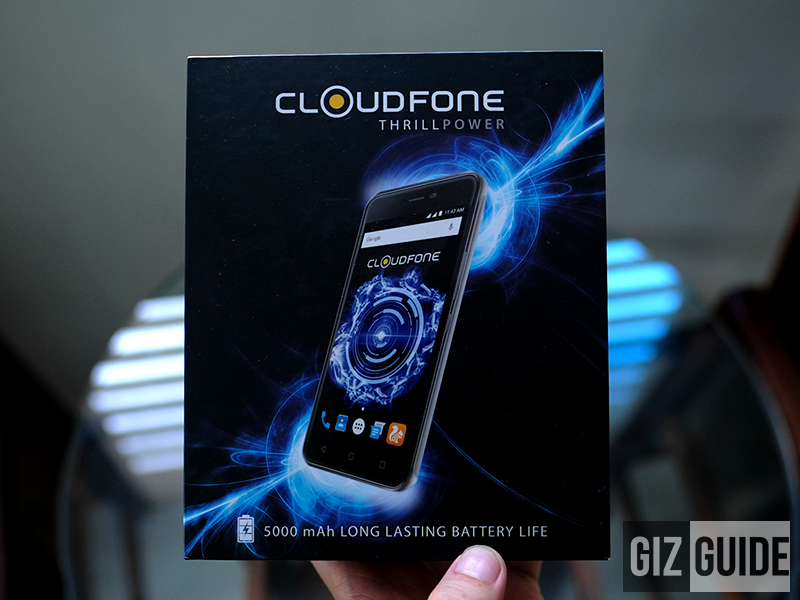 For our review: CloudFone Thrill Power Review - Legit Big Battery On A Budget!